It was very clean, nice towels and bed linen. Ludvic was very helpful. 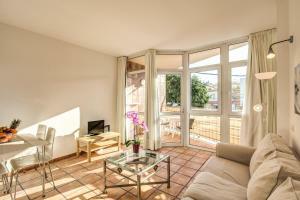 Well positioned, just one block back from beach, and close to numerous good restaurants. It is amongst all the activity so can be slightly noisy here ( but there is double glazing, and bedroom at back off indoor terrace). 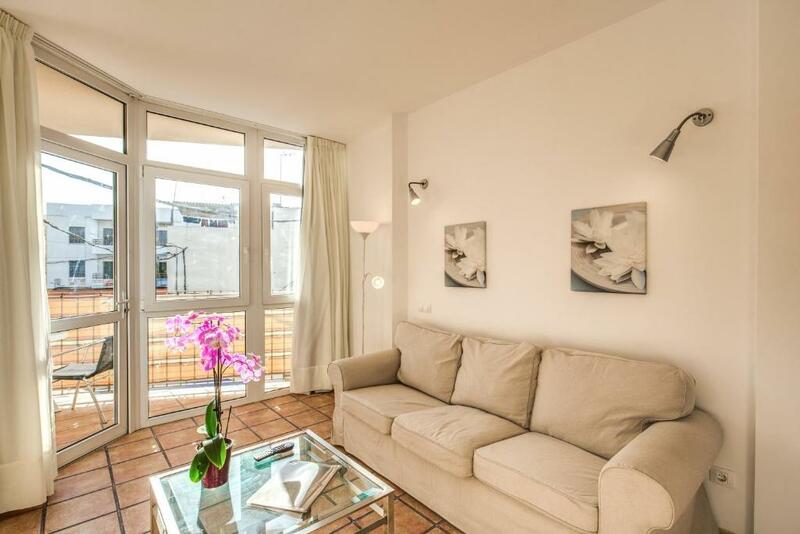 Nice white furnishings/ fittings; includes washing machine in shower room, and small drier on balcony. The Bed was extreemly comfortable and the Roof sun terrace was a lovely sun trap. The Hosts were very helpful and friendly. They also went out of there way to make our stay enjoyable. I would reccommend and come again myself. Will pop back in for a coffee when in the area. Make sure the taxi driver knows where this is!! we had 10 minuites trying to find it. Also go into the cafe to announce your arrival. 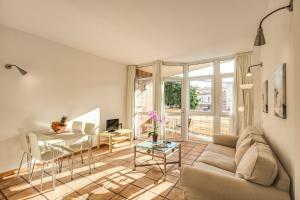 Location od close to 2 beaches, shops, restaurants and bus stop. Kitchen is well equiped. We got also beach and two complents of normal towels. Owner is really nice and helpfull with all information. We had completely no problems. The owner of the flat was very flexible and available for helping. The flat was extremely clean. Apartament was big and light. Very well equipped and very nice service! Ludovico, one of the owners went above and beyond to make my stay pleasant. He was understanding to my needs and a great host. Airport pick up was great and I got some great tips about the island on the way. Will without any doubt recommend staying here for anyone visiting! I stayed in two apartments during my two nights there and they were both very nice. Clean and had everything you need. Great host, so positive. With full of guidance what may we do, where to eat... Apartment excellent!! Spacious, clean, bright, comfortable. Full kitchen equipment, WiFi working without any problems, nice balcony, everything was on top!! So we really recommend this apartment. Good Localisation, in the old part(resident) of arguineguin. 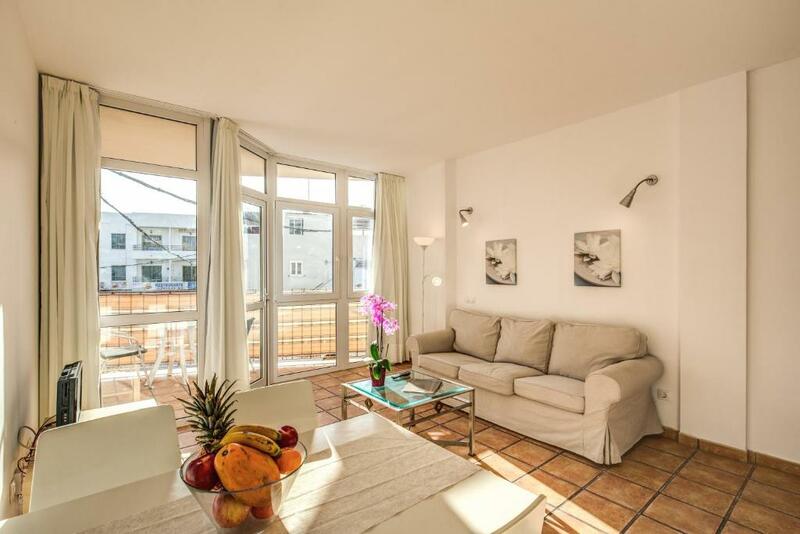 Near the beaches, lokal tapas bar and near the main road to everywhere. Thank you for great stay and your positive energy. A warm welcome and help finding the flat.centrally located near restaurants and harbour. Erreichbarkeit und Freundlichkeit des Personals sowie die Lage. 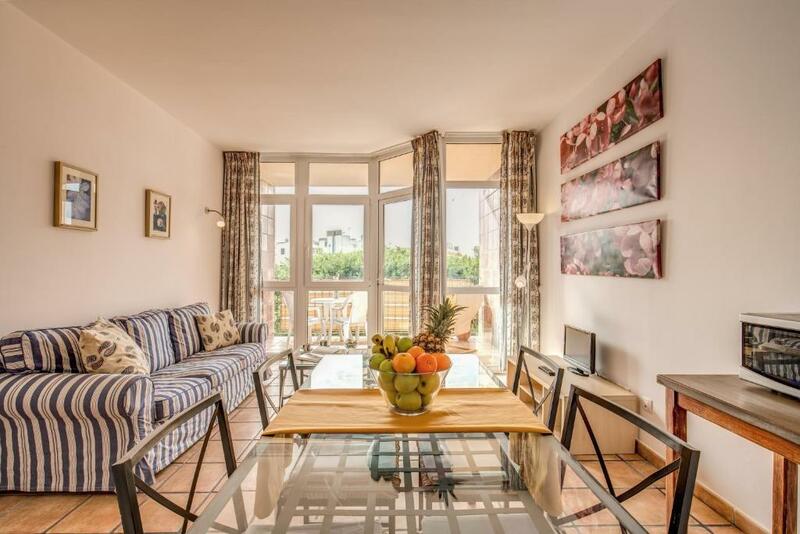 Lock in a great price for Apartamentos El Patio de Granada – rated 8.3 by recent guests! Apartamentos El Patio de Granada is located in La Playa de Arguineguín. Free WiFi is available. 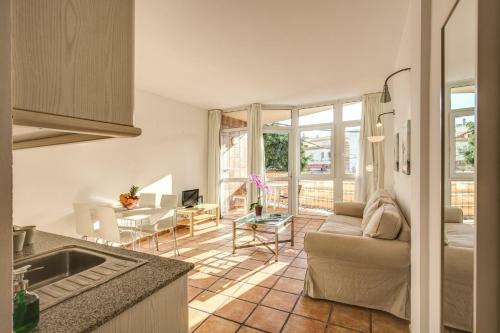 Rooms include a terrace, a kitchen with a microwave, a dining area and a flat-screen TV, while the private bathroom includes a shower and a hair dryer. A toaster, a fridge and stovetop are also provided, as well as a coffee machine and an electric tea pot. 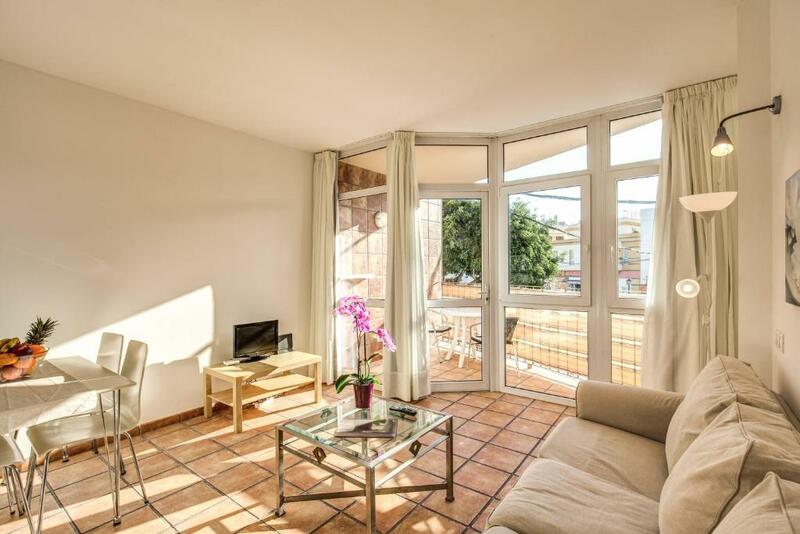 Playa del Ingles is 8 miles from the apartment, while Maspalomas is 9 miles from the property. Gran Canaria Airport is 26 miles away. When would you like to stay at Apartamentos El Patio de Granada? This apartment has a dining area, stovetop and sea view. El Patio Granada is a new building in the heart of Arguineguin. 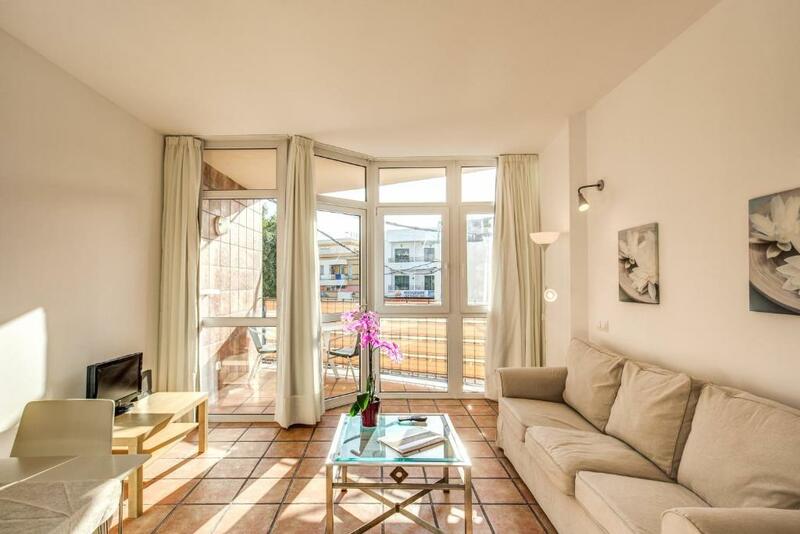 House Rules Apartamentos El Patio de Granada takes special requests – add in the next step! 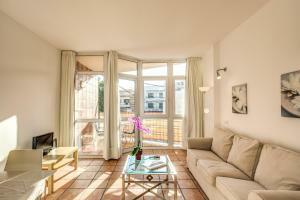 Please inform Apartamentos El Patio de Granada of your expected arrival time in advance. You can use the Special Requests box when booking, or contact the property directly using the contact details in your confirmation. Bit short of some kitchen items if you are cooking/ eating at flat eg like cutlery etc. Lightbulbs need checking- major one in sitting room over table ‘blown’. Had emailed and twice texted flat manager who never responded to getting into flat initially...the women in El Patio restaurant below were helpful and had keys. Noise of the street/people right in front of the apartment. Great service. Wifi good. Complete kitchen. Make sure your up wind when using the roof terrace! The soil stacks have to go somewhere! Everything was perfect. Thank you Evelio! I thought it was expensive for a flat without a sea view. There was no view from the balcony but the roof terrace was very good. Apartment on the street side and local restaurants. Very loud and unfortunately unpleasant odor from the restaurant.